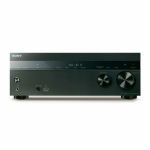 The Denon AVR-S700W 7.2-Channel Network A/V Receiver will allow you to listen to your favorite audio tracks from any of the devices convenient to you. It could be used with a portable player, a tablet with wireless streaming via Bluetooth & Wi-Fi and directly from your Smartphone. The Denon AVR-S700W is equipped with both Wi-Fi and Bluetooth wireless technologies which will allow you to listen to your favorite music without the help of any wires. The AVR-S700W also features an advanced video section with six HDMI inputs which includes the ability to pass 4K Ultra High Definition high resolution video. It can also handle 4K/60Hz Ultra-HD content video via Blue-ray and Game Inputs. This is a feature of the latest HDMI specification. 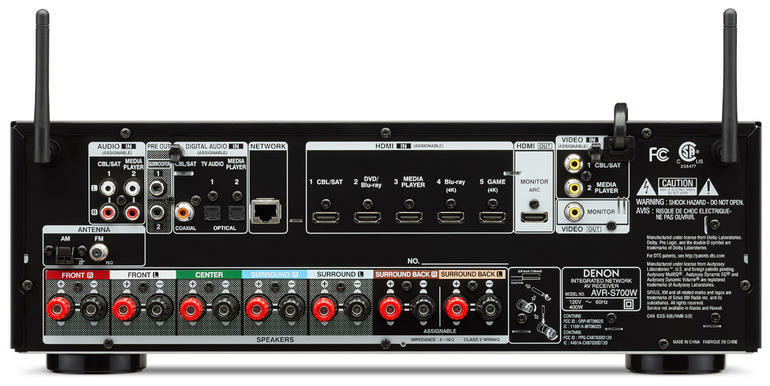 The Denon AVR-S700W receiver can handle 4:4:4 Pure Color highest resolution sub-sampling which is another important feature of the newest HDMI specification. The video section of the receiver is fully compatible with 3D sources. The Denon AVR-S700W receiver also features high resolution audio decoders with Dolby TrueHD and DTS-HD and the Audyssey Bronze suite of DSP audio processing functions. It includes Audyssey MultiEQ automatic room acoustic measurements with correction for the smoothest, most accurate tonal balance for your speaker system. In fact, Audyssey Dynamic EQ provides full range responses at any volume levels and eliminates annoying jumps in volume. 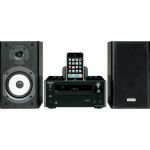 The receiver’s Bluetooth wireless streaming function includes automatic pairing for instant recognition. 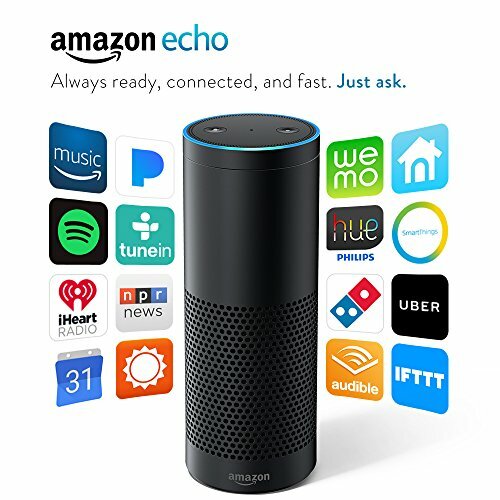 It can remember up to 8 Bluetooth devices which allow everyone in your family to use their favorite device in the process. 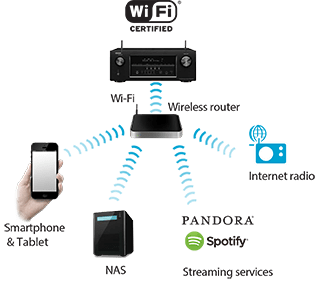 The built-in Wi-Fi feature will allow you to stream audio from the Internet via your home network without connecting any wires. This will open up a world of music from numerous radio stations on the net. Streaming subscription services such as Pandora, Connect, SiriusXM and Spotify also could be used to listen to your favorite music from the net. The exclusive on-screen Setup Assistant will let you easily configure the receiver correctly the very first time you use it. The measurement microphone will ensure the correct setting for your speaker system. The Setup Assistant’s ability to feature clear on-screen text & graphics which will allow you to optimize the critical settings with a minimum of fuss. The exclusive Eco Mode will help to drastically reduce the power consumption of the receiver in accordance to the actual volume levels. It also features an Eco Mode Bar Graph which will let you see the power consumption savings in real time. If you set the Eco Mode to auto, you may receive continuous automatic power consumption reduction in the process. The Class AB Amplifier features high current discrete power output devices. It also features identical circuitry for all seven channels, delivering 165-watts of maximum power output per channel. The receiver is also equipped to handle lower impedance 4-ohm speakers for compatibility with the widest range of loudspeaker models. The AVR-S700W is also equipped with an Audyssey Bronze Suite of advanced DSP (Digital Signal Processing) audio processing fuctions. It also carries Audyssey’s famous MultiEQ automatic correction system. The in-built measurement microphone will assist the MultiEQ function in providing true in-room acoustical measurement for all the speakers within the room. This includes the subwoofer. 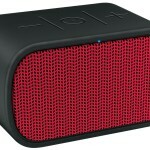 It will provide the smoothest in-room response from your speaker system. The Audyssey Dynamic EQ will allow you to enjoy full range response at any desired volume level. This will allow having a consistent listening level too. There will not be any annoying jumps in volume during loud commercial breaks. The versatile receiver features multi-room listening capabilities where you can enjoy five channel surround sound in the main room. At the same time, others can enjoy stereo sound from a different source at an adjoining room. Each room will have independent volume controls. The single subwoofer setup may not deliver an optimum deep bass response. Deep bass quality may be uneven due to different room interactions. 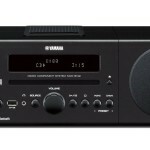 The receiver has dual subwoofer outputs so that you could connect two subwoofers and place them at different locations in the room. This will help to enjoy smoother and more accurate deep bass response. The receiver is equipped with color-coded speaker terminals for accurate speaker connections. This will ensure proper hookup the very first time. 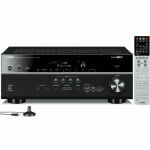 Easy To Use Quick Select Functions Denon AVR-S700W 7.2-Channel Network AV Receiver Remote The AVR-S700W features four Quick Select Function buttons located on the front panel. This will let you quickly choose your favorite sources while the system will remember your preferred audio settings for each input. The remote control is ergonomically designed and features dedicated Quick Select Function buttons. This will eliminate the hassle of scrolling through all the available inputs. The stylish front panel design features the latest brushed metalized finish. This will resist fingerprints. There are dual control knobs for source and volume control. The front panel has a graphical display that features easy to understand icons and clear text for the convenience of the user. 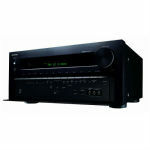 If you’re looking for a dynamic, multi-functional A/V receiver, then you need to seriously consider the Denon AVR-S700W 7.2-Channel Network A/V Receiver as part of your home entertainment system.